Hey there Paper Peeps! It's the first of the month and you know that means.... 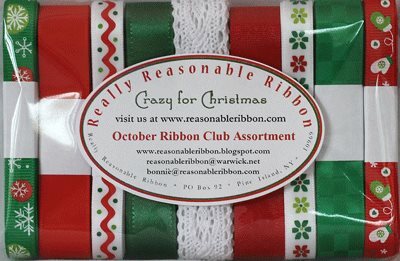 I get to share a little something I created with the Ribbon Club Assortment Crazy for Christmas. I created a set of Retro Christmas Cards. I used a fun die to cut the wood grain paper to give the look of a country snowfall then layered on fun and festive retro Christmas sentiment images. I coordinated the holiday ribbons to the image and added them to a layer of the lace from the assortment. Once I had all the cards completed I bundled them together and tied them with some sweet Swiss Dots on Red Satin Ribbon and added a chipboard tag and glittery snowflake.